Hotel review sites are one of the most important sources of customers in the hospitality industry. Research shows that 78 percent of consumers use online reviews to compare hotels before placing a reservation. By comparing hotels on multiple review sites, consumers get a comprehensive picture of your business. In addition, 70 percent of customers will not even visit or stay at a hotel with negative reviews about its cleanliness. With success heavily dependent on customer reviews, it’s important that your hotel’s online presence is visible on as many sites as possible. In addition to the top 10 review sites, we also provided a plethora of review sources that are worth monitoring. 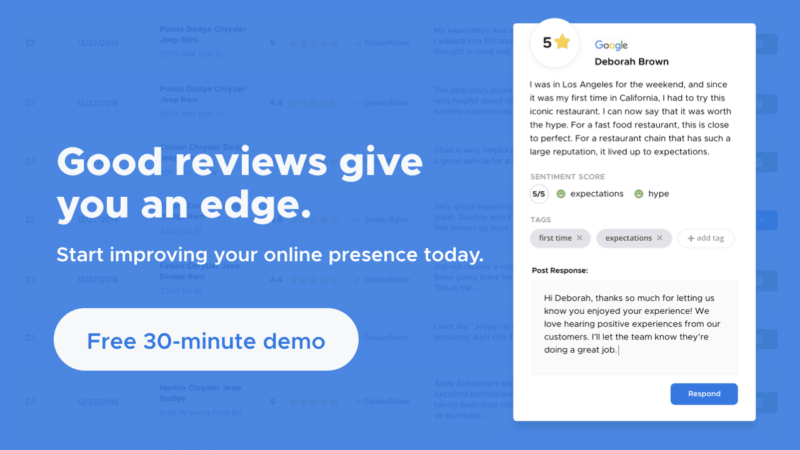 If you want an easy way to monitor feedback from all of these sites, you should consider using hospitality review management software like ReviewTrackers. TripAdvisor, the “world’s largest travel site,” accounts for 25 percent of all hotel reviews from the top 10 sites. In addition to claiming your hotel on the popular website, interacting with customers can also have some financial benefits. One study showed that timely responses to customers on TripAdvisor can lead to increased revenue. You can easily claim your business on TripAdvisor by following the steps in our guide. Getting your business on Expedia opens doors for exposure on other review sites. The company is a part of the Expedia Group, which includes Hotels.com, Orbitz, and Travelocity. Combined, they account for over a quarter of reviews distributed across the top 10 websites. To get started, you can list your hotel through the Expedia Group’s Lodging Partner Services page. Listing your hotel on Google puts your establishment in front of a massive audience. Most people use Google services on a daily basis, which increases the chance for them to view your hotel. With additional improvements, you can also increase your Google ranking to make your hotel one of the top results in a local search. Want to optimize your business listing on Google? Read our guide! You can leverage social media to gather important unsolicited feedback, which is crucial when you want to create a Voice of the Customer strategy. In the past, Facebook reviews used a traditional five-star rating. Recently, that system changed so that users will now provide “Yes/No” recommendations to allow for simpler, yet still detailed, feedback. The Dutch-based website has over 29 million listings worldwide, and it claims that over 1.5 million rooms are reserved every day through the site. With numbers like that, it’s a no-brainer to list your hotel on the website. In addition to other hotels near your area you’ll also have to compete with other listings such as apartments, small B&Bs, and vacation homes. Yelp for Business, along with Facebook and Google, is attempting to be one-stop shop for business listings. Customers already use Yelp to find restaurants, so why not put your hotel on the same site? In addition to increased exposure, your Yelp listing makes it easier (and more convenient) for customers to view hotel information because it’s on the same app. Take a look at our guide to claim your hotel on Yelp. What started as a way to check-in at multiple locations evolved into a new way to leave reviews. The company’s 10-point rating system provides an added benefit to highly-rated businesses, which are listed front and center as part of the Foursquare City Guide. To join this elite group, you’ll need to increase your visibility through more reviews. Want to put your hotel on Foursquare? Check out our handy guide! Even though most travelers leave their feedback on the sites above, it’s still worth it to monitor your hotel’s reputation in other locations. By posting your hotel on as many sites as possible you increase your online visibility and provide multiple ways for customers to leave feedback. 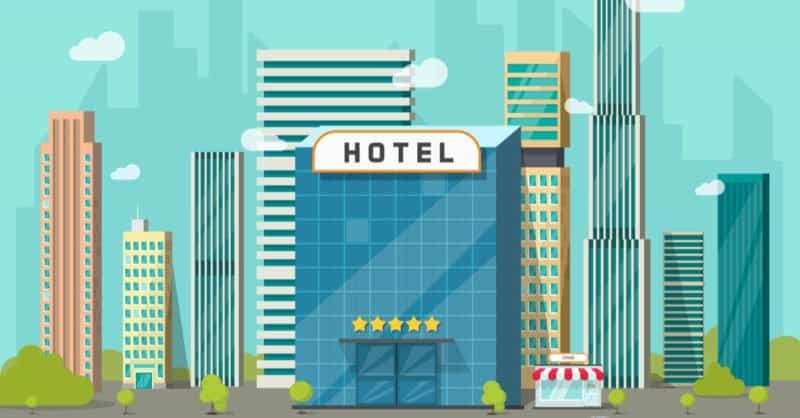 Browse our guide to 54 business review sites or check out the list below for more hotel sites you can list your business on.